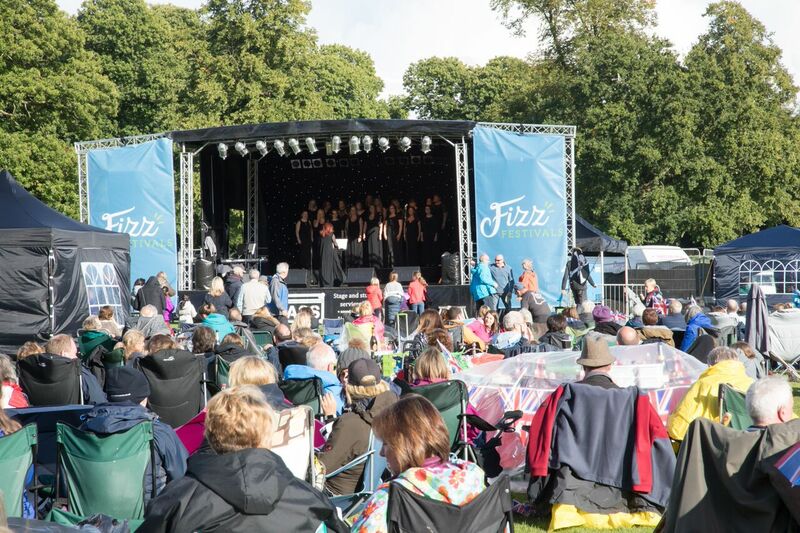 With Proms and Prosecco in the Park hailed a major success, Fizz Festivals Ltd are already looking forward to 2018. 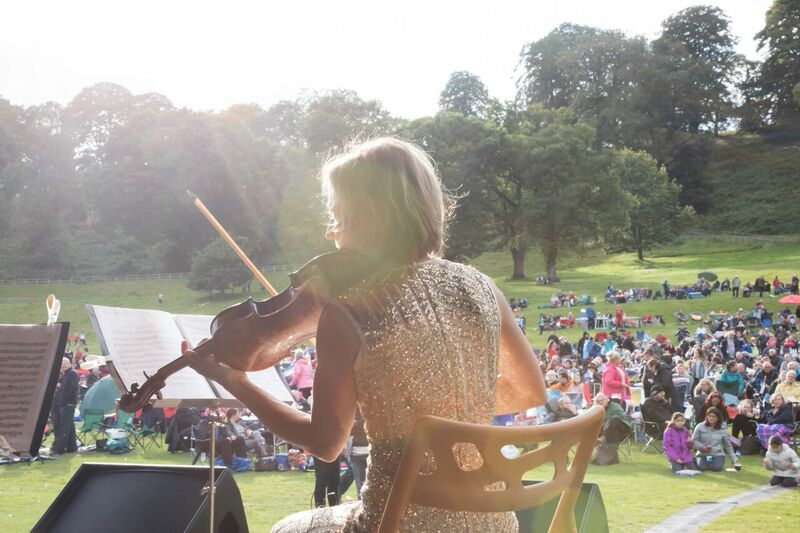 Around 1,600 Promenaders turned Newport’s Chetwynd Deer Park into a riot of colour on Saturday as corks popped and flags waved to herald the last night of the proms. Spectators arrived in the rain but the clouds cleared for much of the six-hour musical celebration and a rainbow appeared over the Fizz Festivals stage. 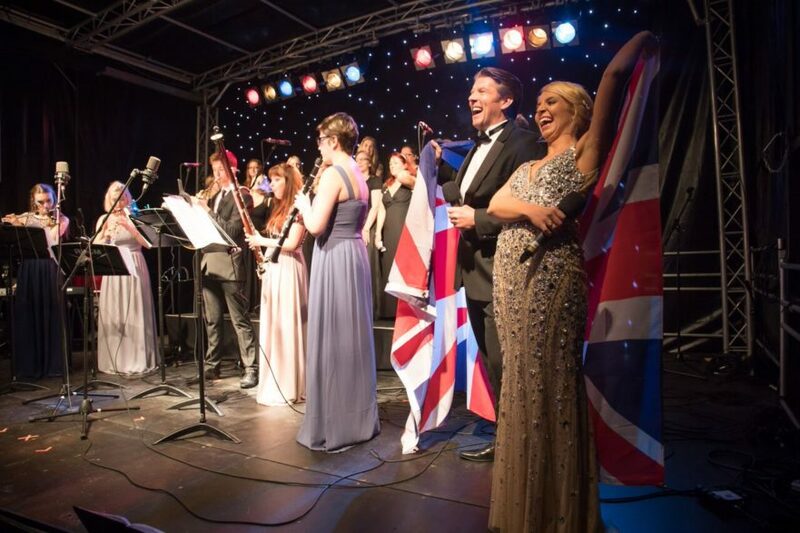 The prom-goers were treated to a high-quality programme ranging from the pop and rock inspired tunes from Staffordshire singer song writer Alexandra Jayne to the grand finale of classical prom favourites Rule Britannia and Land of Hope and Glory led by acclaimed Soprano Emily Haig. The quality of the programme was high throughout as the audience enjoyed performances from the Cosford Military Wives Choir, through the orchestral offerings of the Prima Wind Quintet, the Camerata of London Chamber Orchestra, the Amadeus Brass Quintet. Tenor Jack Foley and Emily Haig. Jack and Emily combined on popular operatic standards and World in Union before being joined on stage by many other artistes for the rousing finale. Musical Director David Lane accompanied many performances on the piano. 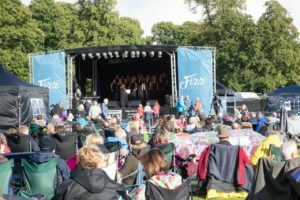 Proms and Prosecco in the Park is the first event to be organised by Fizz Festivals Ltd; the brainchild of Newport business owners Esther Wright and Sarah Lewis. Esther said: “We set out to provide something new for the festivals and events scene across the Midlands and the feedback has been excellent. “It has spurred us on and we are already discussing plans for next summer’s Proms and Prosecco and exciting ideas for this Christmas. Esther owns events management and consultancy company, ElevenTen, and Sarah owns Lily’s Secret Vintage Tearoom, at Gnosall, along with vintage events and outdoor catering businesses. Proms and Prosecco in the Park also provided a boost for many local businesses and the economy of Newport and surrounding areas. Refreshment stands on site included the Estate Boys, Caty’s Caribbean, Momma B’s American Soul Food, and Carnival Chilli and Pizza, while other stalls included Alisha’s Henna, Go Walkies balloons, Glam Squad and Tutor Doctor. There were also jugglers, a unicyclist and a circus skills workshop to entertain the many young children on site. The stage was provided by Stage and Studio Services of Telford.